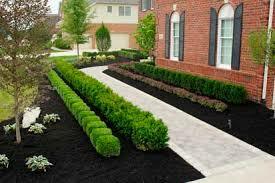 National Waste is not only a landfill and roll-off dumpster rental service – we also carry a line of recycled wood mulch and garden mulch while providing bulk delivery service when needed. We manufacture our own mulch from reclaimed and recycled wood at our landfills and transfer stations. We’ve been helping to beautify homes and commercial properties on the West Coast and Central Florida and stand behind our superior-quality product.